Stock in Cipla gained 0.87 per cent to close at Rs 380.45 a share on the Bombay Stock Exchange (BSE) on Monday, after the drug-maker announced 62 per cent year-on-year jump in net profit. The BSE's benchmark Sensex could gain just 0.04 per cent. 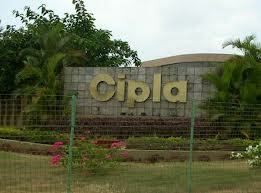 Cipla announced that its net profit jumped from Rs 309 crore in the second quarter of fiscal year of 2012-13 to Rs 500 crore in the same quarter of current fiscal, thanks to strong growth in sales in domestic as well as international markets. Formulation exports of the drug-maker jumped 38 per cent in the three months thorough September 30 year-on-year, from Rs 752 crore to Rs 1,039 crore. Net sales of the drug-maker climbed 23.9 per cent to Rs 2,145.9 crore in the quarter under review, as against Rs 1,731.8 crore in the corresponding period of previous fiscal. Domestic revenues grew 13.5 per cent, from Rs 847 crore to Rs 962 crore over the same period. The company said in a statement, "The growth in domestic revenues was largely on account of rise in sales of anti-asthma, anti-biotics and cardiovascular therapy segments." The growth in export revenues was chiefly attributed to growth increased demand for anti-depressants, anti-asthma and anti-ulcerant drugs. In addition, material cost reduced 4.2 per cent in the concerned three months year-on-year.